The Nokia 3310 is an undeniable legend for any mobile handset enthusiast. In the era of dumb phones the handset reached the peak of popularity way above any other device from the competition. Even after the smartphone advent the 3310 got a considerable number of worshiper praising it durability and build over the current smartphones fragility. 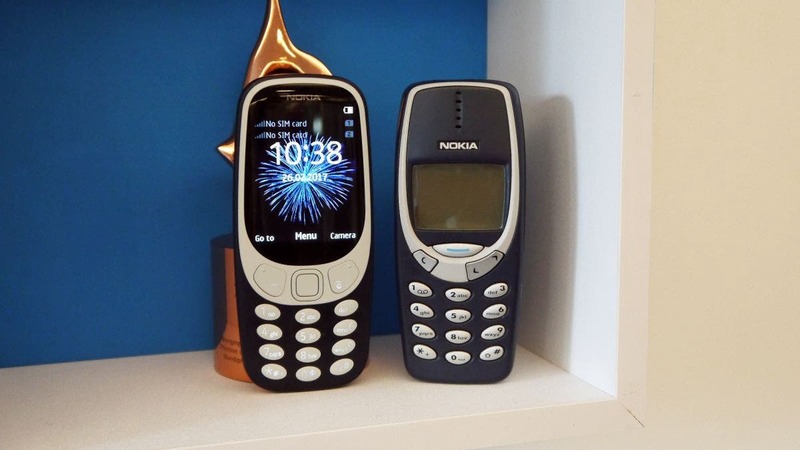 Earlier in this year HMD surprised everyone with a brand new version of the Nokia 3310 that came as fan-service and a way of attracting even more the attention of old timer Nokia fans. However apart from the 2017’s release time, the handset brought no big advance from its predecessor, to the point of carrying only 2G network support. 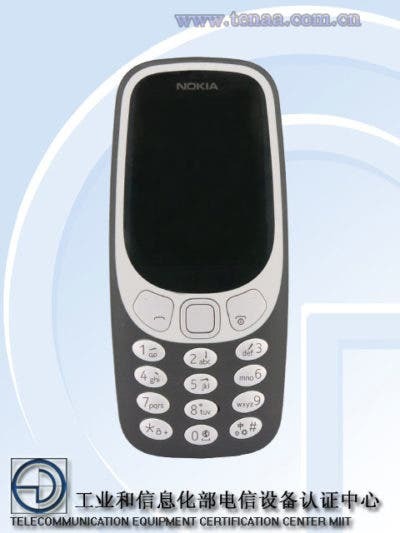 A few time later and with the revenue generated by their feature phones, HMD decided to release a 3G variant of 3310. 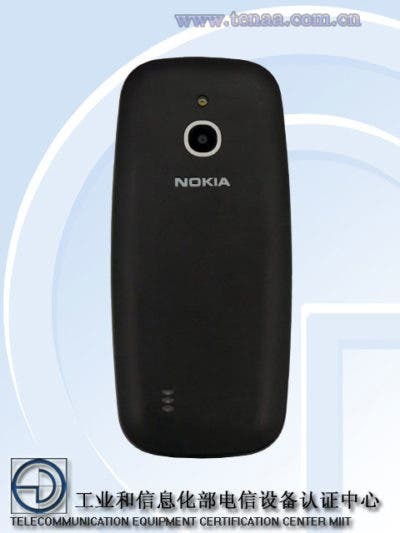 Now according to a recent leak coming from TENAA the 3310 series will receive a new 4G/LTE member. 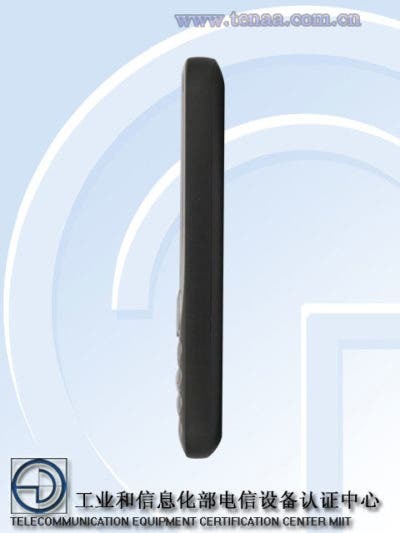 According to the TENAA certification the new 4G Nokia 3310 retains the same design and build from its lacking-connectivity brother, and the main difference should be only the presence of a more advanced network chipset. Despite undisclosed details, we can imagine that this new version of the feature phone is planned to hit in countries that totally rejected the previous 2/3G variants. Currently the 3310 basic version is sold at US for about $60 offering a 2MP rear camera, 32MB of Internal Storage and 16MB of RAM like the previous versions of the phone. We should see a $20~$30 ramp in the price with the arrival of the 4G variant. Currently the Nokia 3310 can deliver stellar battery life, fitting as a perfect emergency phone. When the 3G variant arrived it market a decrease in the endurance delivered by 2G 3310, we expect the LTE Nokia 3310 to repeat this decrease in battery juice. Worth to mention that the 4G Nokia 3310 will arrive running Alibaba’s YunOS Platform, featuring some popular social media apps like Facebook, Skype and Twitter. Next Motorola and HTC: "We aren't throttling your old mobile"